Students step up to the challenge of a research project and present their results in front of experts from academia and industry. Dr Garcia Souto explains. Biomedical Engineering students (from the UCL Integrated Engineering Programme) undertake a research project within the ‘Materials and Mechanics’ module over the course of seven weeks in their first year. This year we had a class of 23 students. Each pair of students is allocated a material and they design and run their own experiments for its mechanical characterisation using state-of-the-art Instron E3000 mechanical testing equipment. 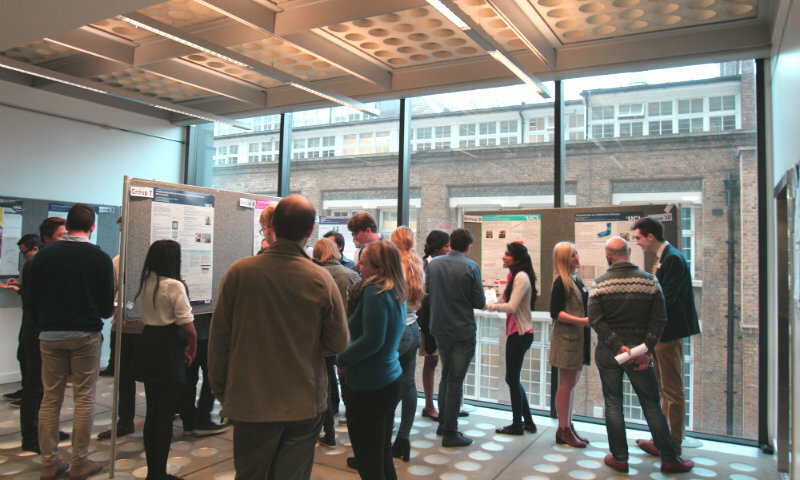 The students then present their results to invited research and industry experts in the field in a poster session. They are assessed for both poster content and presentation skills which mirrors the structure of a research conference. I started this activity in the academic year 2014/15, when the module ran for first time. I chose to implement this activity because it covers many learning objectives while giving to students a real life experience. Students are required to use a range of technical knowledge taught across this and other modules and develop important engineering soft skills (experimental design, poster preparation, discussions with experts). Students engage very well, and feel that this is a very positive and useful experience for their development and future. Practitioners across UCL use poster presentations to assess students, and seem to be in agreement that it engages students very well. However I believe that this practice is less common among first year students. As the organiser of a new module I had a white canvas and wanted to provide students with a true research-based learning experience, taking inspiration from my own research experience. Staff are also impressed with the quality of the work that the first years are able to achieve. We also noted that after this experience, the students have a good and lasting understanding of the knowledge and skills covered by the module, and feel comfortable using it later in their degree. Currently the module is very demanding in terms of staff-time and resources. During the coming summer we will be strategically adapting it such that we can accommodate double the number of students next year without losing the essence and benefits of the activity.